The Rival CN738-W has an easy to use Click n’ Clean removable blade assembly that makes for easy cleaning. With the Power Pierce® feature you get a more consistent cut. 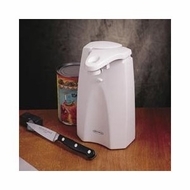 Also includes a premium grade knife sharpener and easy cord storage with lock.